These, as you know, are the opening lines of “Stoned Love,” one of the Supremes’ more unusual and most compelling singles. It was released 47 years ago this weekend, going on to become a U.S. Top 10 hit, the trio’s highest-charting single of the 1970s, and also their most successful in Britain, where it reached the Top 3. “Stoned Love” was a record I wrote about in The Billboard Book of Number One Rhythm & Blues Hits, having interviewed its producer, the late Frank Wilson, and its arranger, the late David Van DePitte, as well as the song’s writer, Kenny Thomas, otherwise known (on the record’s label copy) as Y. Samoht. But there were space limitations in the book, so what follows is an expanded version of the tale, with previously unpublished material. If it’s brevity you prefer, stick with my Billboard account. At the age of twelve, Detroit native Thomas began learning music on a neighbour’s piano. “I never fared well with formal piano lessons,” he said. “Hence, I played by ear.” He and a friend graduated to entertaining guests at private parties around the city. Later, the budding musician entered a teen talent contest staged by WJLB-AM Detroit and hosted by influential DJ Ernie Durham. “He heard some of my music,” recalled Thomas, “and said, ‘Come on down and do the show.’ ” That's how Motown producer Frank Wilson became aware of Thomas and made the effort to track him down at home. 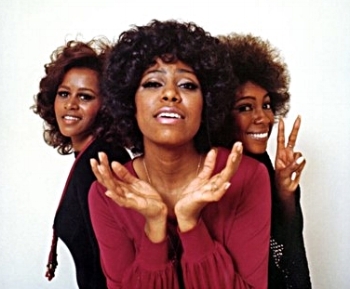 Once completed, “Stoned Love” became part of the Supremes’ second post-Diana album, New Ways But Love Stays, released in October 1970. But the song didn’t impress Berry Gordy. “I remember that he hated that record,” said Frank Wilson. “He called it garbage.” Gordy only agreed to its release as a single after Barney Ales, who was then Motown’s executive VP and general manager, promised that it would be played by the RKO chain of radio stations. Ales knew influential RKO programmer Paul Drew. Years earlier, when Drew was a disc jockey at a minor AM station in Port Huron, Michigan, Ales used to visit regularly and buy him lunch. Few other Detroit promotion people made the trip: Port Huron is more than fifty miles north of the Motor City. By 1970, Drew was a radio industry guru. “He must have programmed eight or nine RKO stations,” said Ales. Among them were Canada’s CKLW-AM-FM in Windsor – a powerhouse platform for Motown – and San Francisco’s KFRC-AM-FM. With RKO’s support, “Stoned Love” became the Supremes’ greatest R&B and pop success since the departure of Diana Ross. Even so, Mary Wilson was disappointed that the album wasn't renamed after the hit. “The country was then in the midst of an antidrug hysteria,” she noted in her book, Supreme Faith, “with self-appointed experts ‘discovering’ drug references wherever they looked.” After the Supremes taped “Stoned Love” for CBS-TV’s The Merv Griffin Show, the performance was dropped because of the drug connotations. “Motown is justifiably hot about the censorship,” reported the Detroit Free Press at the time. Thomas composed other material for Jobete Music, including “Sing A Song Of Yesterday,” recorded by the Four Tops on their changing times album, and “Come Join My World” for the Jackson 5, although the latter doesn’t ever seem to have been released. He and Wilson also penned a song called “Stoned Groove,” but the chances are that with that title, it would have upset Merv Griffin again.